In conversations with people around the world I have noticed that many use the phrase “if it’s God‘s will it will happen”. Taking this further some would even say that as God has a plan for us all, we just have to accept what happens in life - a sort of spiritual fatalism. Perhaps in this case we would argue that prayer is there to bring us into a conversation with God so that he can change us, but not necessarily change situations, structures, systems, governance issues, etc. “The people of the land practice extortion and commit robbery; they oppress the poor and needy and ill-treat the alien, denying them justice. A few years ago when speaking to Michael Cassidy in South Africa he said something that has stayed with me – he said “The church gets the country it deserves!” That really shocked me, and though we can argue this statement, it felt to me that there something important to learn from it. We see from the passage in Ezekiel that God is looking for someone to build a wall to protect a community (a nation) from judgement. For someone to stand in the gap. How do we do this? 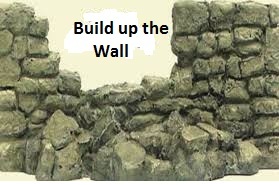 Intercessory prayer is one key way of building up the wall. We know that prayer makes a difference because the Bible is full of examples of people engaging in prayer and God responding (Exodus 32:10-14; Matthew 7:7; John 14:13-16). Does prayer change God’s mind? From these verses it indicates that prayer enables God to withhold judgement so that people can repent and be transformed. 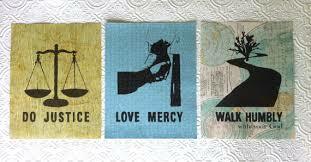 Demonstrating justice through the way we live and serve. This builds up the wall and love breaks through darkness and brings life. Speaking out truth builds the wall. We see this throughout the Bible as prophets declare truth, not to destroy people, but rather to call people to repent and change so that judgement can be averted. Prophets always speak truth, give hope and point to God. 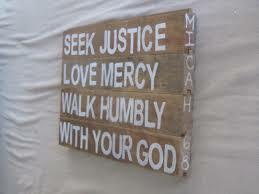 Let us not grow weary of standing in the gap, of living justly and of speaking truth. Lord show us your heart for our nation, our community and teach us to pray so we can build the wall so that we can call many more to know you. May our lives demonstrate transformation even as we call people to be transformed. Since the start of 2015 we have had 21 new members join Micah Global. We want to take some time to thank God for each and every member in Micah. We are now a family of over 700 members from 89 countries. One of our newest members International Gospel and Social Work Mission (IGS) from India shared Beatitude 5 with us (Matthew 5:7) “Blessed are the merciful for they will be shown mercy”. This is an important reminder to us all of one of the reasons Micah was established (Micah 6:8), to work, walk and learn together. It has been amazing to see how many of you are responding in solidarity with Micah Nepal and the coalition they have formed to respond to those affected by the earthquake. We want to invite you to build into your prayer week time for Micah members. We suggest you go to the member section (see here – don’t forget you will need to log in to see this) and choose a country and then pray through each of the members listed. - For safety for them and their loved ones as they go about their ministry. With our Global Consultation now just 4 months away, we deeply long that each member will be able to make it to Peru. Please put this before the Lord and we want to invite you to consider how each of us can support at least one other member to attend. You will have received multiple updates on the situation in Nepal, and can continue to do so by following our Facebook. 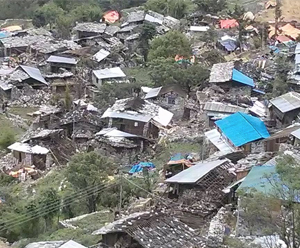 Micah has 29 members in Nepal, and we ask you to stand with them in prayer as they seek to find the best ways to respond to the immense loss, and suffering experienced in their country. The relief and recovery efforts which have been initiated will continue for months and even years to come. Therefore, our ongoing prayer cover is needed and appreciated by those on the ground. - Good weather conditions, to allow for the relief and recovery efforts to occur without the obstruction of rains and associated flooding/landslides. - Wisdom for the leaders of our member organisations, who are making important decisions regarding how they can be most effective in providing practical, emotional and spiritual support. 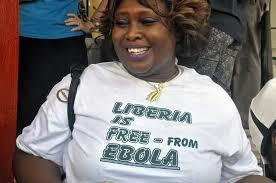 Let us celebrate the news that Liberia was declared Ebola free this week. Thank you Lord. We continue to pray for all those who have lost loved ones in Liberia. Thank you Lord for all who served during this outbreak, may your restore them and fill them with your presence. This prayer request comes from CEDAR FUND and is available in its full form on their website here. In Mali (West Africa), there is rising and widespread violent crime and abuses by armed groups (both anti- and pro-government) which is threatening people in the northern and central regions. UN Peacekeepers have been deployed in Mali since July 2013 to protect civilians. Since mid-2014 armed groups in the north have killed 35 and wounded 130 peacekeepers. Rebel groups and pro-government militias are using child soldiers, some as young as 12. Child combatants were seen staffing checkpoints in many towns. 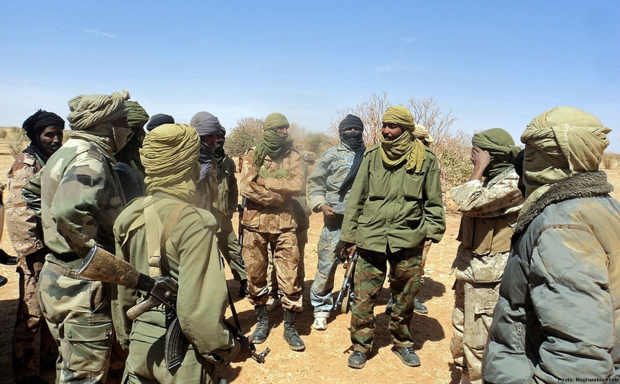 Bandits and armed groups have also attacked the vehicles of humanitarian agencies, particularly in the north of Mali. - That the government and UN Peacekeepers would be able to provide better security for civilians. - That the armed groups would halt their abuses and threats against civilians and humanitarian aid workers. - For the church in Mali, that it would respond with wisdom, with love and with the extra ordinary call to prayer for the perpetrators. As general elections loom ahead for June 2015, turmoil and violent protests erupt in Bujumbura spreading through the country. This has resulted is a large scale exodus of communities fleeing into neighbouring countries such as Rwanda, fearing that the ethnic conflict and civil war that so dominated Burundi will return. Like Rwanda, two of the largest tribes in Burundi dominate the political sphere. The Tutsi (14%) and the Hutu (85%). Prior to colonisation by Belgium, the Tutsi tribe were in power for over 400 years. 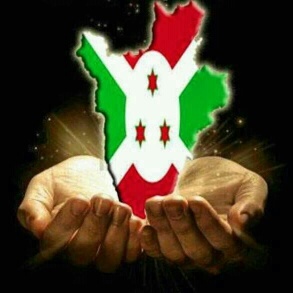 In 1962, Burundi gained independence from Belgium and power was given to a Tutsi constitutional monarchy. This was replaced in 1966 by a Tusti led military regime. What followed was years of unrest and civil war, leaving thousands dead and many more displaced. In 1995 the Pierre Nkurunziza was elected President. Pierre Nkurunziza was a former rebel Hutu leader. The constitution allowed for maximum of two 5 year terms, and Pierre was elected in 2000. In theory he should step down for the June 2015 election but has announced he will stand – this has lit the fire of the current unrest and many fear could trigger further violence ending the fragile peace accord set in 2000. For more information on our members please see our website: - you will need to log in to access the Burundi members database. June Elections – hold this fragile country before the Lord for safety and security for all and especially that the country won’t slide into civil war. Displaced and refugees – for all who have fled their homes because the violence, that they would find shelter and welcome with neighbouring towns and countries. You may remember in November last year, we shared a request for prayer for one of our volunteer translators, Tatiana, as her son Matteo underwent a series of medical tests and treatments. It was found that he has a Wilms tumour in his kidney. Matteo is continuing to undergo treatment. Please continue to pray for perseverance, rest and faith in God's goodness for the whole family as this trial continues. You can follow the latest news of Matteo by reading updates here. Jordan: 15th to 16th May: Being Salt and Light. Pray for a time of shared learning together. South Africa: 20th to 22nd May: Integral Mission: Pray for the wisdom of the SA members as they deliberate on how to promote Integral Mission and how to raise awareness about poverty and injustice. Sri Lanka: 4th to 5th June: Justice: As this event fast approaches, pray for hearts and minds to be stirred throughout Sri Lanka and the region to join in this event at an important time in the nation's history. Myanmar: 11th to 13th August: Truth and Reconciliation. Exploring how we can be people of peace. Please pray for all the preparation for this important Conversation. Peru: 14th to 18th September: Integral Mission and Shalom: our 6th Triennial is getting closer. Please pray for all who long to attend this that God would open doors to make it possible! Please pray for all the logistics and administrative work going on to make this a special time together.